The Braves’ punishment for their international signing violations will include giving up prospects, potentially including star 17-year-old Kevin Maitan, according to Ken Rosenthal of The Athletic. 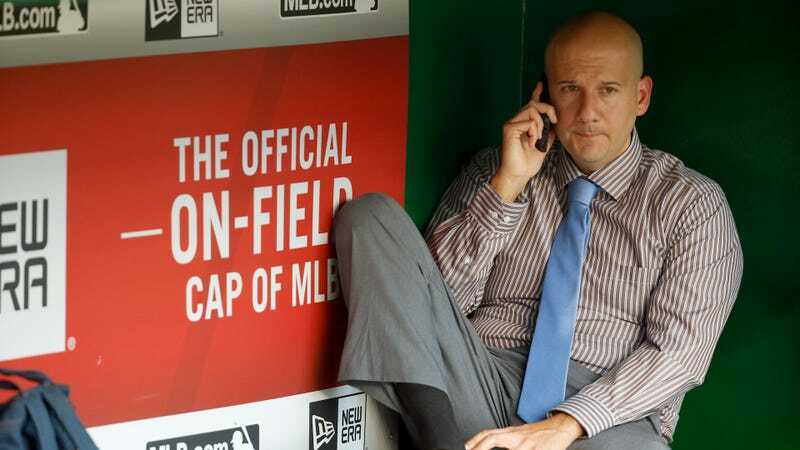 The team’s rule-breaking led to the resignation of former general manager John Coppolella last month. MLB has not announced the results of their investigation or made clear exactly which parts of the rules were broken. But commissioner Rob Manfred is now reportedly deciding how to discipline the team, and giving up some prospects is expected to be part of the package here. Other possible penalties that could be added are fines or restrictions on future international signing classes. The closest blueprint that we have for how the Braves might be penalized is the result of the investigation into the Red Sox’s infractions two years ago, though Atlanta’s violations have previously been reported as “significantly bigger” than Boston’s. The Red Sox were blocked from signing international players for a year and watched five of their prospects become free agents. Those five prospects had signed for a collective $1.5 million—a fraction of what the Braves invested in Maitan alone. But Atlanta’s 2016 international signing class included a dozen other players (including catcher Abrahan Gutierrez, who signed for $3.5 million, and shortstop Yunior Severino, for $1.9 million), so depending on exactly what MLB found in its investigation, there’s no shortage of possible penalties here.